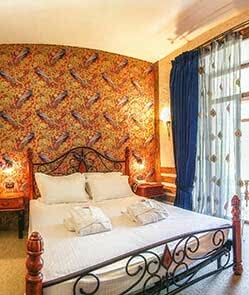 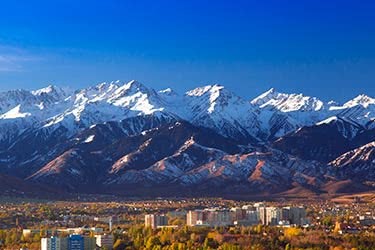 This nine-day itinerary is full of surprises: from the Central Historical Museum in Almaty to the burial grounds of Issyk Kul Lake, the petroglyphs of Tamgaly Tas to the underground mosque of Shymkent, the Kazygurt Mount where Noah’s ark came to rest to the Mausoleum of Arystan-bab, a Muslim shrine, you will explore all the history, culture and spirituality this incredible country has to offer – mixing in waterfalls, stunning vistas and a falcon show, of course. 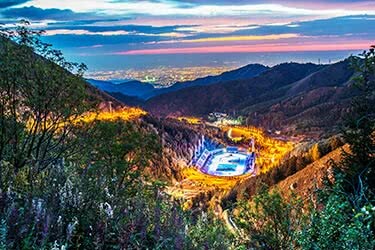 You will arrive in Almaty – Kazakhstan’s largest city – in the evening and be transferred to your hotel to enjoy dinner and an overnight stay. 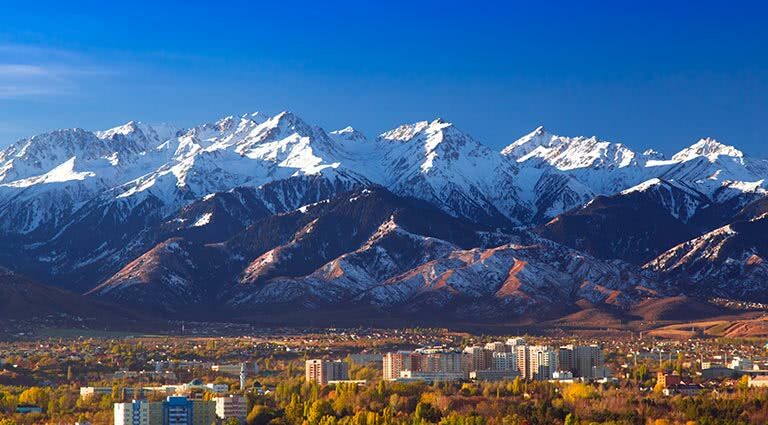 Your journey truly begins today, starting with a city tour of Almaty highlighting the Central Historical Museum, the Republic Square and Monument of Independence and Panfilovtzev Park, which commemorates the Soviet victory in the Great Patriotic War. 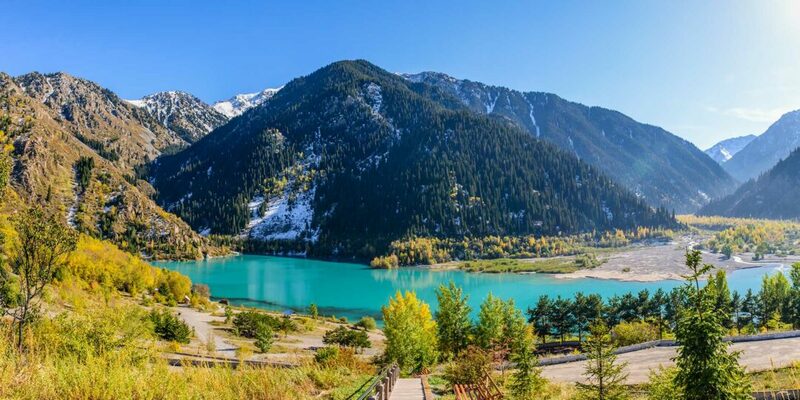 In the afternoon, enjoy an excursion to the Kok-Tobe mountain, where you will enjoy dinner overlooking the city and take a traditional jewelry making class. 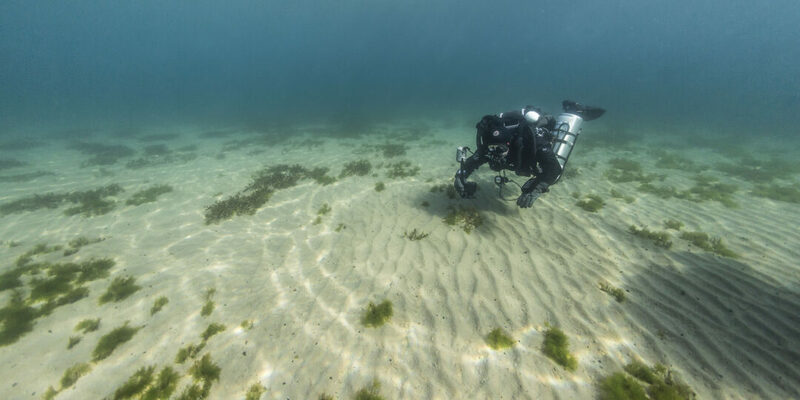 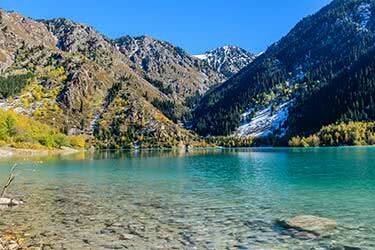 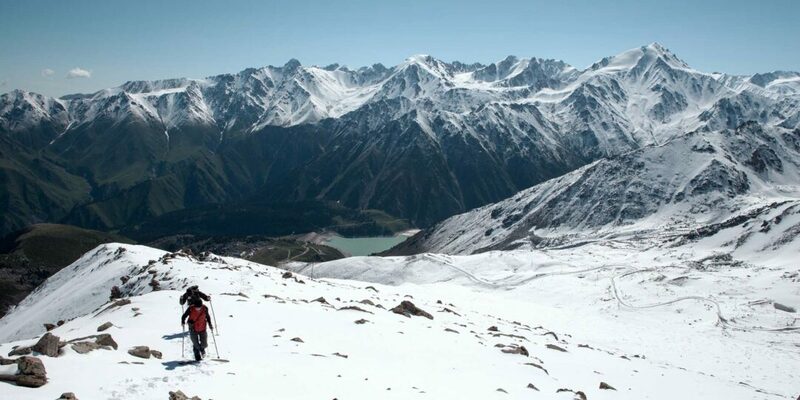 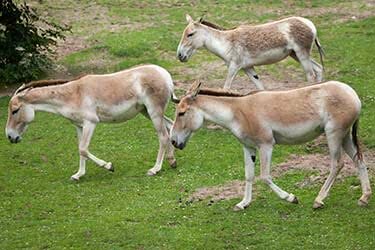 Today, you will head out of town to Issyk Kul Lake, located 46 miles from the city. 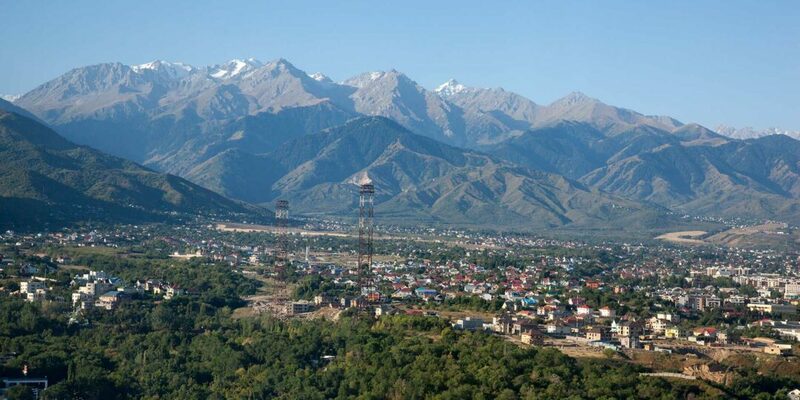 Explore archaeological monuments and burial grounds, visit the Issyk museum and discover the beauty of the Turgen Gorge, where you will have the chance to hike to a waterfall. 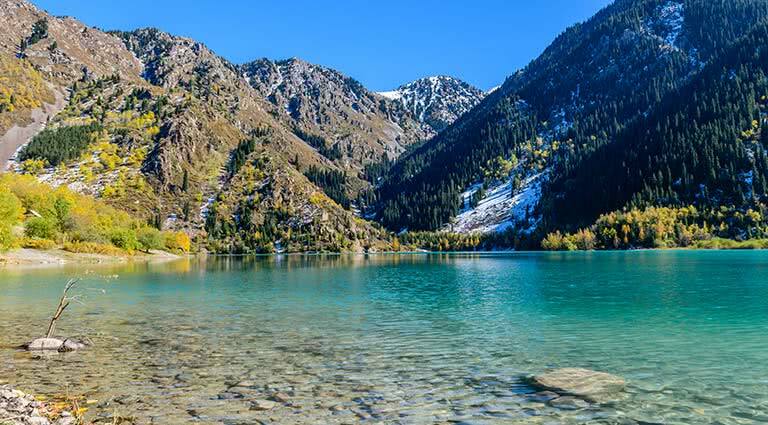 On your return to Almaty, enjoy a falcon show at Sunkar farm before dinner and your overnight stay. 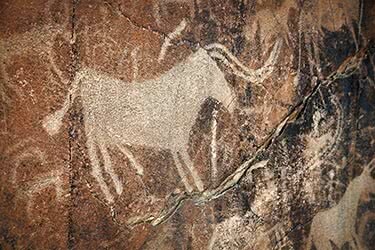 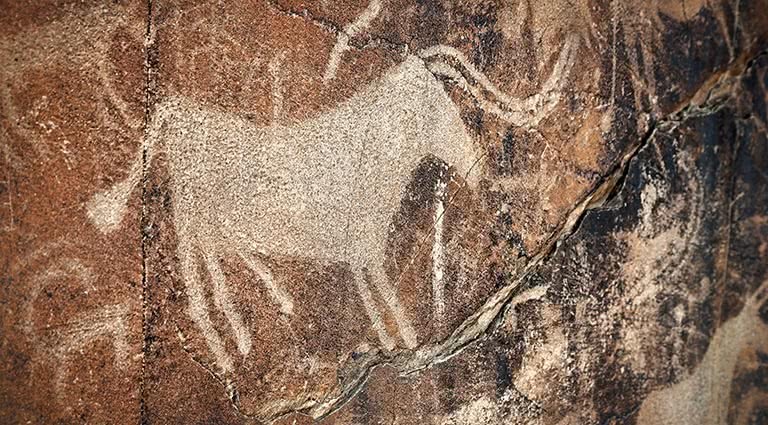 On an excursion around 2-3 hours from Almaty, discover the 4000 rock paintings of Tamgaly Tas – many of which depict the Buddha symbol – which date back to the Bronze Age. 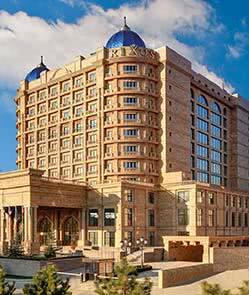 Enjoy lunch before returning to Almaty for dinner and overnight. 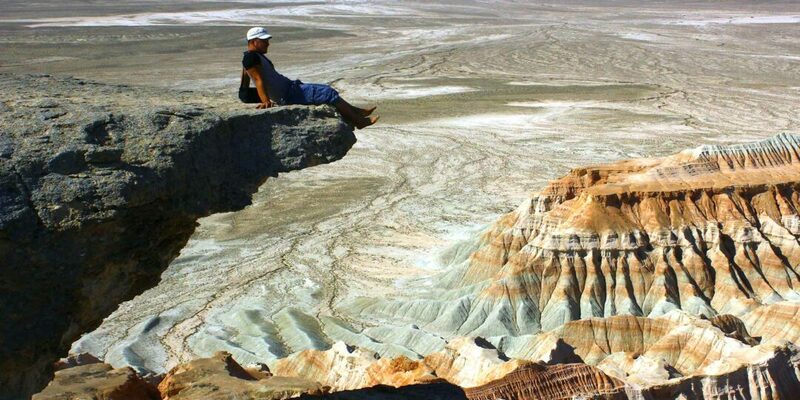 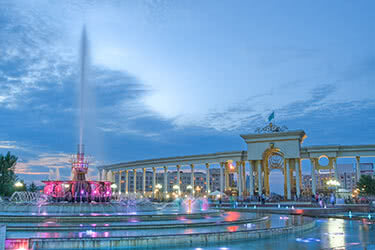 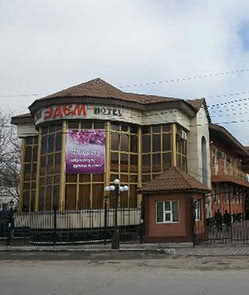 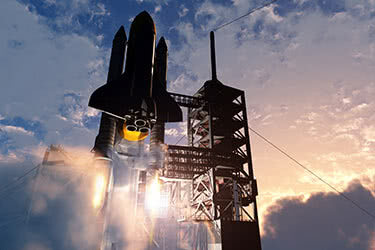 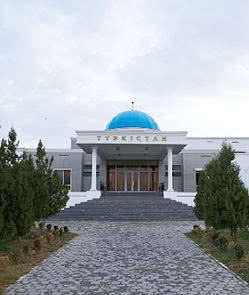 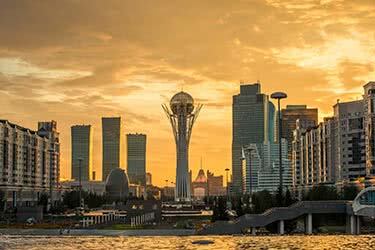 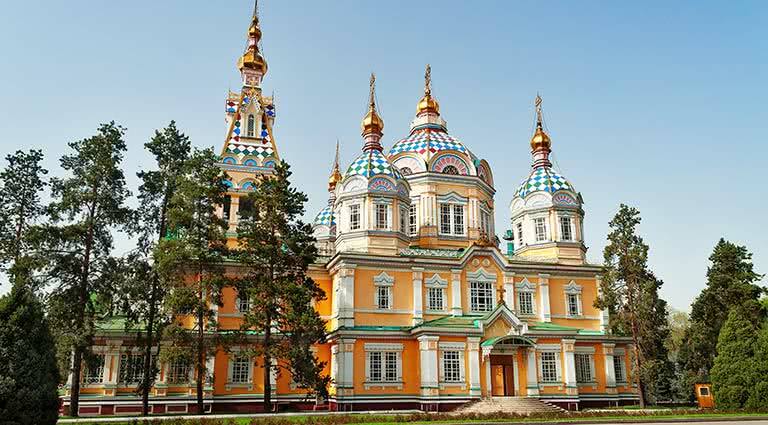 Today, you will take a short flight to the South Kazakhstan Province to the city of Shymkent. 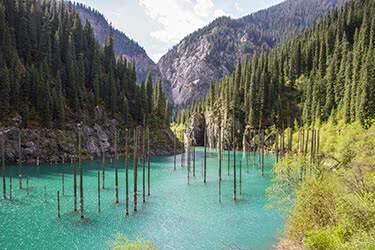 After settling in at Canvas hotel, you will take a tour of the Aksu canyon, known as the “Valley of a Thousand Eyes” for the distinct look of its caves. 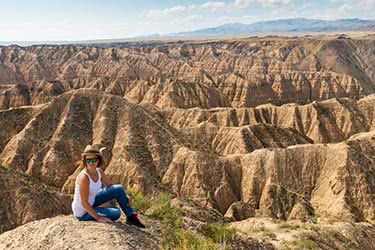 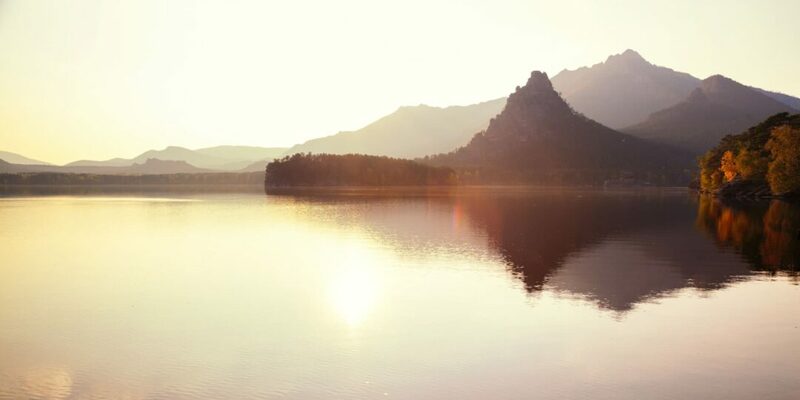 Spend the morning exploring the natural scenery before returning to the city after lunch, where you will visit an underground mosque and take a ceramics class. 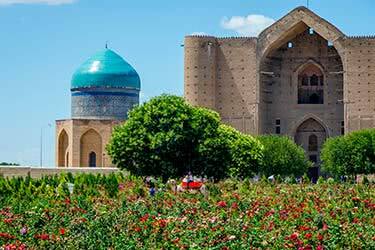 You will travel over 100 miles/3 hours to Turkestan today, stopping to visit a museum in the village of Shaulder, the ruins of Otrar and the Mausoleum of Arystan-bab, one of the Muslim shrines of Central Asia. 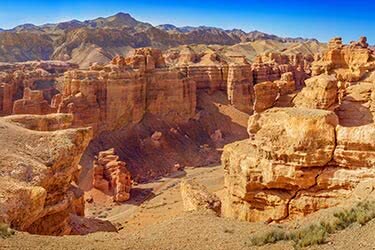 After lunch in Turkestan, you will head out of town to the ancient city of Sauran, before returning to Turkestan for your overnight stay. 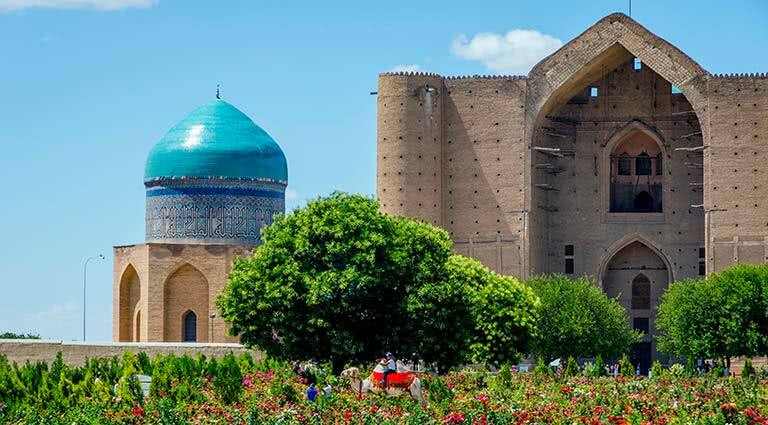 Enjoy a tour of an architectural complex in Turkestan, which includes an underground mosque, a bath, a history museum and fragments of the citadel’s fortress. 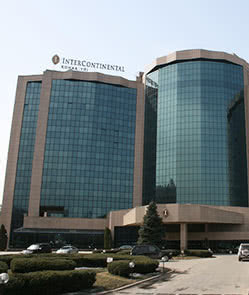 After lunch, you will head back to Shymkent (3 hours) to board a flight to Almaty. 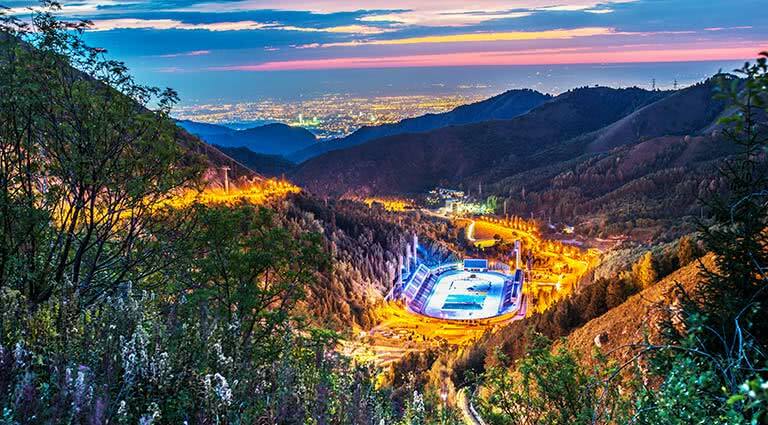 On your final full day, discover the wonder of the famous Medeo skating rink, located high in the mountains surrounding Almaty. 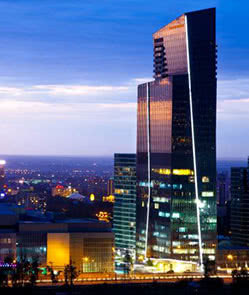 Enjoy lunch at the rink - overlooking the city - before returning to visit the city’s Green Bazar before the final dinner. 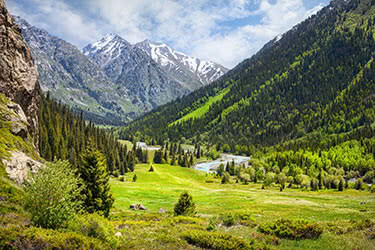 Today, you will be transferred to the airport to catch your flight back home, or your connection onto another destination in Central Asia or yet another unexplored corner of the world!